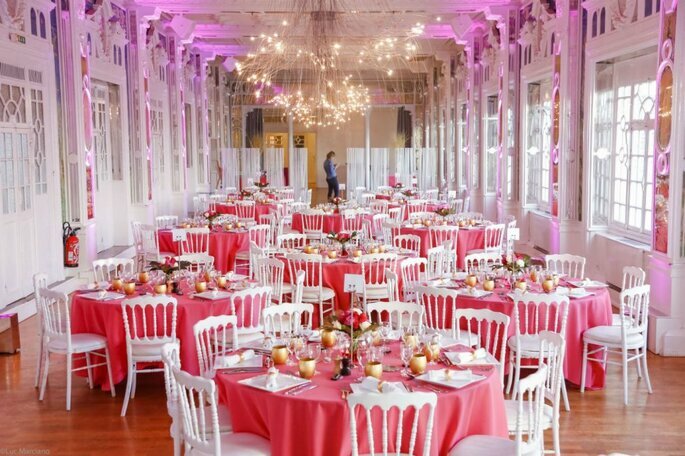 Can you imagine tying the knot at a fancy Parisian reception venue? The Ile-de-France region is packed full of them, and below is just a small selection of what is on offer. However, we have compiled what we consider a great variety of stunning wedding halls to ensure all tastes are covered! We love: Its Haussmann-style architecture and its richly decorated lounges, which combine both an 18th century French style and a more contemporary Napoleonic style. And, there are no less than 8 reception areas, decorated by renowned floral artists. 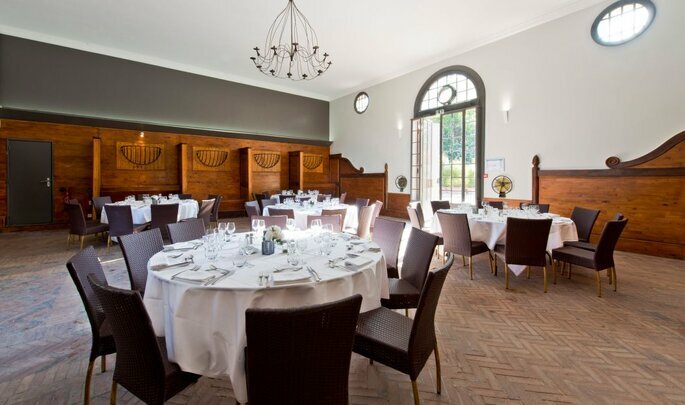 You will enjoy chef Butard-Enescot’s refined dishes throughout your wedding, with much pomp! Catering facilities: Yes, it has its own caterer. Advantages: terrace, dance floor, measures 28 meters to the glass roof. 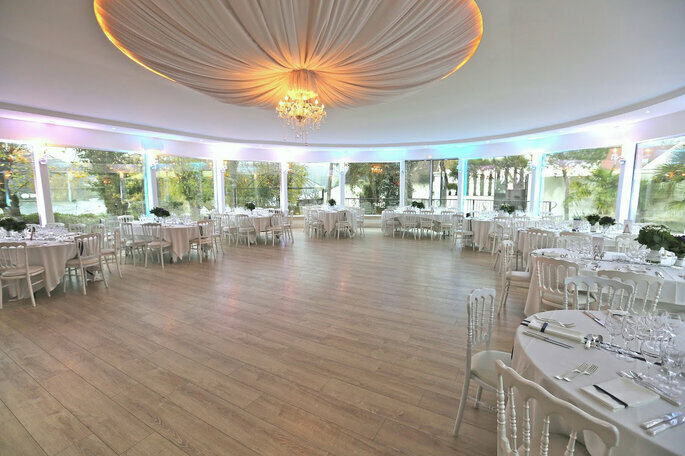 We love: 3000m2 at your complete disposal for a magnificent wedding. 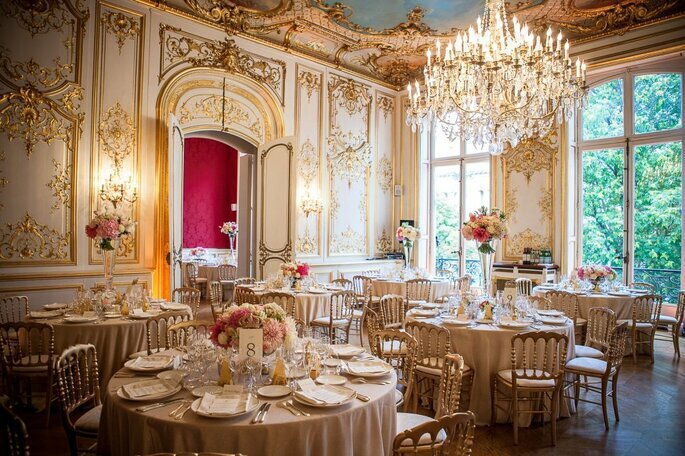 Its three wedding reception rooms, the Nef du Palais, the Salon d’Honneur and the Club du Palais are each more majestic than the last. Its history gives it a certain charm: this building, commissioned by Napoleon Bonaparte in the 19th century, hosted the stock market activities of the capital until 1998. Its columns, crystal chandeliers, high painted ceiling, architecture…Let yourself be enthralled by the beauty of this fabulous building! 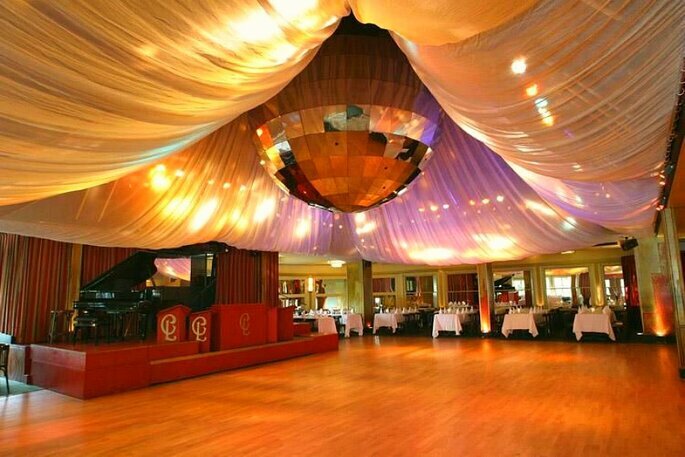 We love: This venue is magnificent, with a stunning club-like reception room; it will host your unforgettable evening and its lively rhythms! 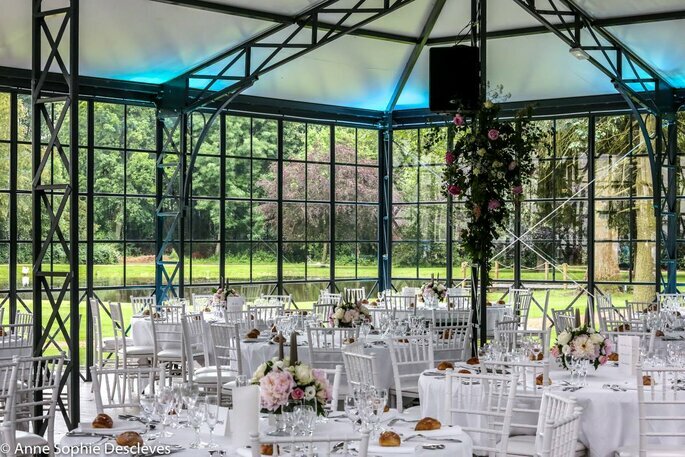 For a chic, country-style wedding, choose this pavilion, a tiny “belle époque” nestled in the heart of a haven of greenery, perfect for hosting a cocktail for all your guests. Its attentive staff and outdoor areas make it a prime location to hold a reception of dreams. 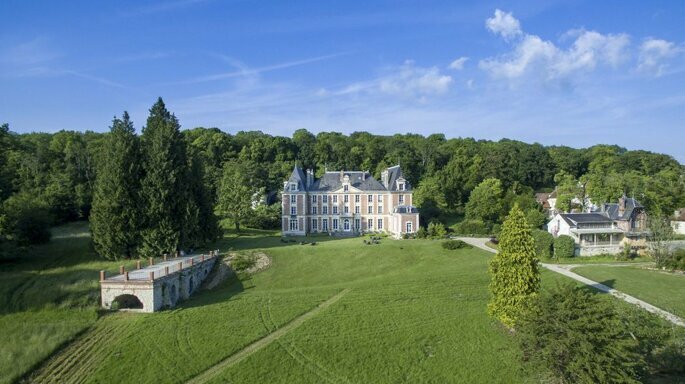 We love: This striking chateau! Your guests will be able to take advantage of its 6 reception areas. The surrounding nature confers it all the attributes needed to be the perfect venue for an incredible secular marriage. Its 60 hectares of parkland will be the theatre for the most beautiful and memorable moments of your life. Its soothing and bucolic atmosphere alongside its cozy but modern rooms and suites will not fail to delight all your guests. We love: this venue combines luxury and authenticity. Built by the Rothschild family, at the heart of the Chantilly forest, in Anglo-Norman style; it has a particular charm which can only delight and seduce your loved ones. 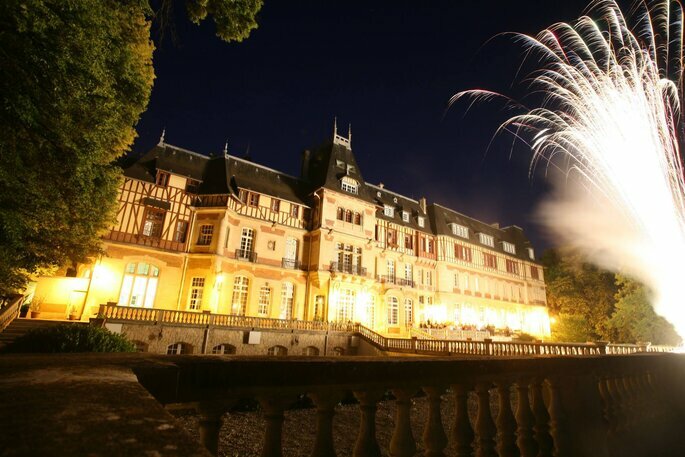 With its idyllic and romantic setting, this beautiful building is everything you’d want and more. Over 115 rooms, a delicious gourmet restaurant, a bar under filtered light to host a fantastic cocktail and…what you’ll want more than anything after all the preparations: a wellness area. Catering facilities: Yes, they have their own caterer but you may opt for a caterer of your choice. Menus created according to your diet. We love: This “glass oasis basking in light” will welcome all your guests, for a most lavish reception. The harmony between the theme of your wedding and the sublime character of this room will give your loved ones a feast for their yes and ears! Decorated with beveled and ceramic mirrors arranged to perfection, this hall will be the rare jewel for an unforgettable wedding. We love: The large veranda overlooking the park and the Seine where an exceptional dinner will be held for the occasion. The large covered terrace offering a unique and romantic panoramic view over the river. Your guests won’t know where to look with so much beauty to soak up. They will also delight in the opportunity to arrive by boat and to discover the superb “Mont des Oliviers”. 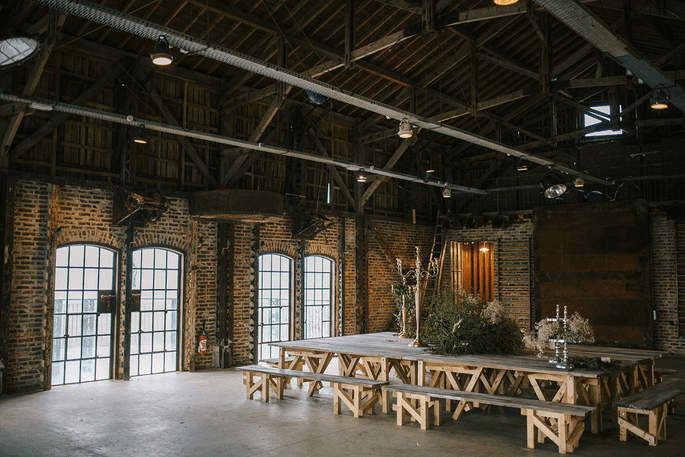 We love: The great spaces at this venue overwhelm us. Both natural and sophisticated, modern and authentic, this beautiful house with its huge park, decorated for the occasion, are conducive to moments of pure happiness. And the little plus of this charming place? Its ornithological reserve. To prolong these days of happiness, do not hesitate to rent the 15 bedrooms with balneotherapy bathrooms for a weekend. 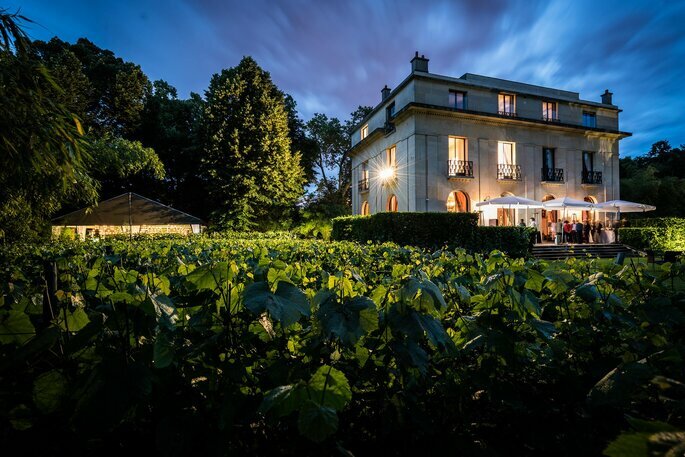 We love: It is the only winery in the whole of Paris and is thus located in amongst the vines. Why not propose a little tour of the vineyard or of the wine making cellars to your guests, or even a wine tasting? It you’re nostalgic and envious of the chateaus of Bordeaux, but would not celebrate your wedding outside Paris for anything in the world, La Vigne de Paris Bagatelle is a very good compromise. 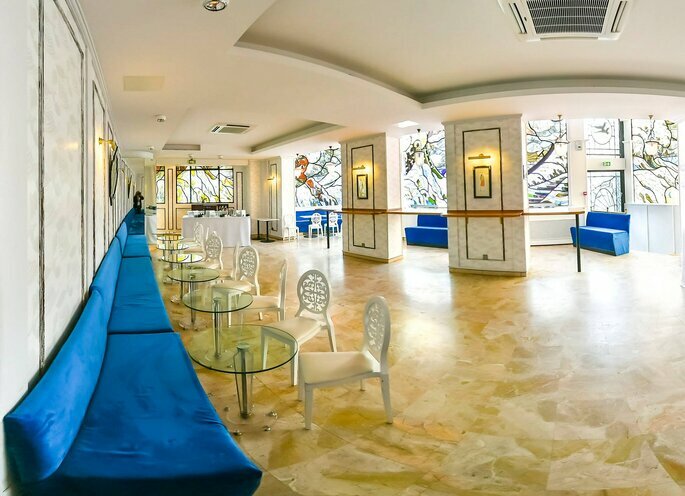 We love: Its reception areas that echo Paris in the Roaring Twenties! 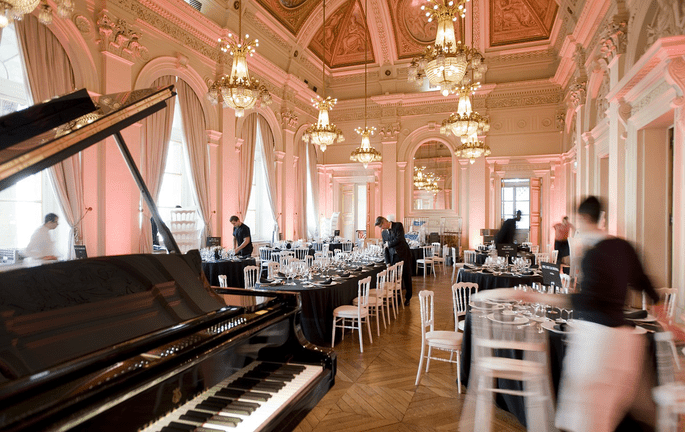 Recognized as being a part of French cultural heritage, it comprises a former cabaret, now converted into a reception hall that hosts impressive events. Its art-deco windows are the ultimate touch of originality. This venue, bathed in intense light, awaits only you and your guests to spend a delightful evening. We love: Since 1764, it has stood in the middle of this superb park, and offers you a prestigious and historic setting for your ceremony. Let yourself be carried away by the peaceful atmosphere and marvel at its 4 salons with vintage moldings that will host your buffet or your reception. Under the large glass roof you will savor a delicious dinner carefully prepared by a renowned chef. 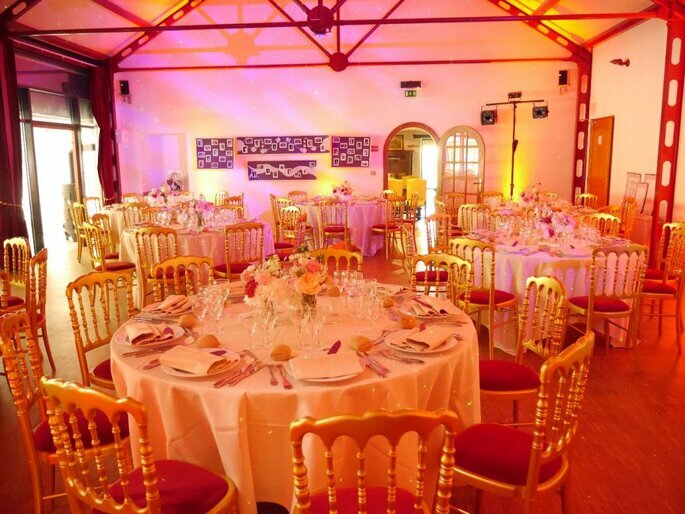 We love: this venue is quite simply sublime, tucked away in flowering gardens, including a majestic rose garden. Unbelievably romantic, yet located on the outskirts of Paris, it offers you a natural and verdant space where hosting your cocktail will become a real moment of pleasure. Its paradisaical and poetic setting will provide your wedding with a sweet ambience. Its sunny terrace and pretty private lounges also bestow a certain charm upon this place. We love: Chinese, vintage décor; the perfect ambience for all those slightly hipster couples! Fields surround this renovated farmhouse as far as the eye can see. On the horizon you may be able to just make out the Eiffel Tower; a serene environment to host an incredible party. For a rustic or bohemian wedding, it is the perfect reception venue! We love: Located in the famous Montparnasse Tower, this restaurant boasts modern and stylish décor, both troubling and timeless. The atmosphere is warm and relaxing, its furniture and structure adopt flexible, organic and fluid forms but are at the same time structured, offering a unique experience. Designed by renowned interior designer, Noé Duchaufour-Lawrence, this venue will be the theatre for a magnificent evening. 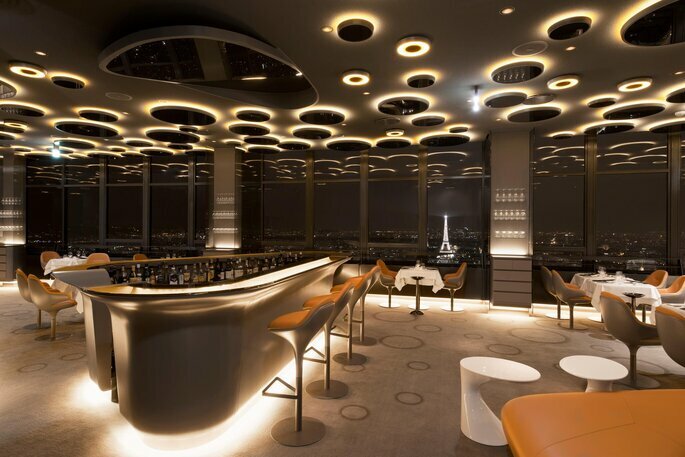 You will undoubtedly fall in love with its panoramic view of the City of Light. Getting married in the most romantic city in the world is a dream for many brides-to-be and now you can understand why. Paris is associated with glamor, sophistication, luxury and love. What more could a person want for the happiest day of their life? Check out our mini-guide to planning a Paris Wedding! Looking for a wedding planner for your Paris Wedding? Get married with Label’Emotion. For more Destination Wedding inspiration, click here.